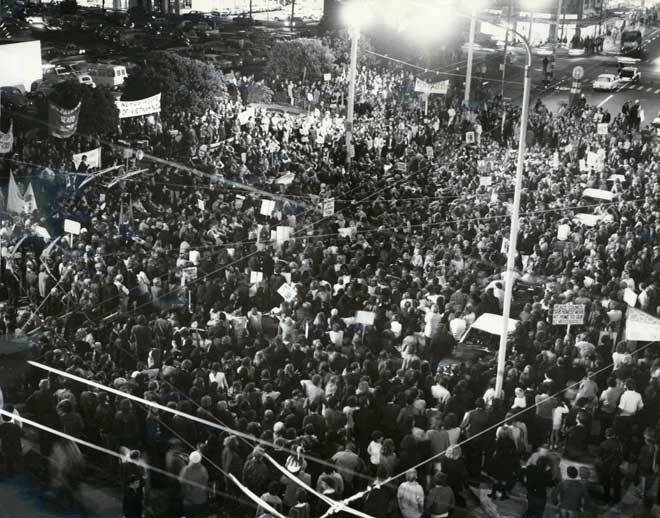 Anti-Vietnam War protesters gather outside Wellington’s town hall for a rally following a large march through city streets in May 1971. The march stretched for over a kilometre and was 10 people deep in parts. Many protest marches in this period were held on a Friday night – the late shopping night in most cities – to garner greater exposure and support.